A small post for a few small fun projects. It is nice being back home and in my spot on the floor with the full range of my backstrap weaving tools on hand. I did some twining and got the three Bird hangings off their looms at last. 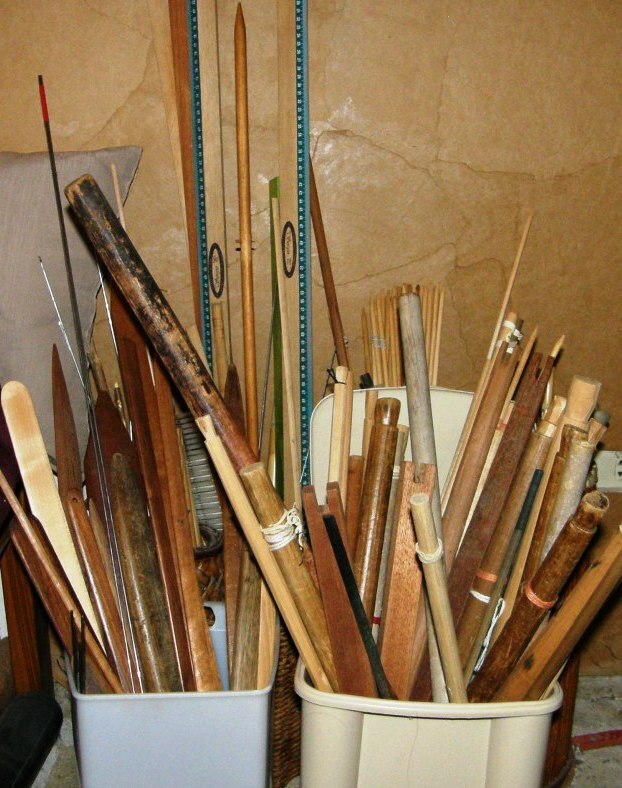 Then, I rounded up all the sticks and bits and pieces that had been lying about in my ”studio” and put them back into their bins…loom bars, cable ties, heddle sticks, cross sticks, coil rods, metal selvedge rods, beaters, swords, spacers, needles, pick-up sticks, warping stakes and shuttles. I photographed and made notes on the tiny samples that were too small to be made into anything and then threw them away, and got my notebook up to date. That all felt great. Now I can confidently say that I can put my hand on just the right stick when needed and I am ready for a new session of sampling and weaving. Those big ikat projects are on my mind and I will soon be tackling those…getting out the frame, the ikat tape and dye, ready for days and days of tying little strips of plastic around warp threads. But, for now, it is nice to have a variety of small pieces to work on. I finished the bookmark in 60/2 spun silk that I had promised a friend and, finding that I had plenty of warp left over, I made another wrist cuff for myself. I really enjoyed wearing the little cuffs I had made before I left for my US trip earlier this year. 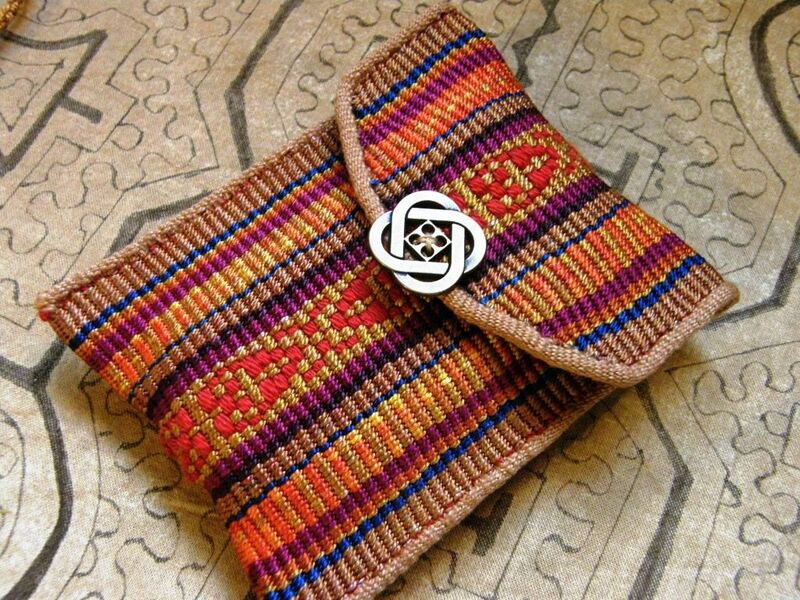 I used an Andean Pebble Weave motif that I charted for my second book. It is so much more comfortable doing pick-up with this 60/2 silk in this cooler weather. Working with silk with sweaty hands is quite horrible. It is amazing how much the black-and-white one has softened with wear. Having my basket of silk out of the cupboard with all those lovely little skeins at my fingertips, I got on a bit of a cuff-making roll. I had bought some buttons while in the US and decided to weave another cuff or two using the patterns on the buttons as guides. I want to sew the buttons to the cuffs purely as decoration. 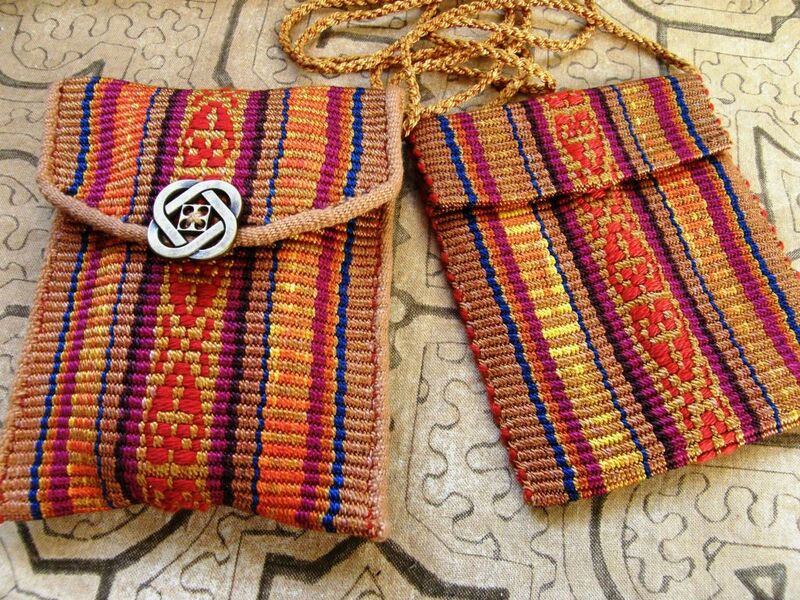 One button had a knot pattern and I decided to use a design that I had charted for my second book which was based on motifs found in Kuba cloth. That one is still on the loom and there will be plenty of warp left over to try another using the second button. I will use the intermesh structure for that one. And, while all that was going on, I summoned up the courage to cut into that reeled silk piece that I showed you last week. This is the warp that Sara Lamb let me have to weave…her hand dyed and hand painted colors and her fabulous color arrangement. I figured that I could get two pouches out of that piece. I had measured my friend Betty’s cell phone while I was staying with her and so I was ready to cut the first piece to suit. It wasn’t easy to take the scissors to this piece! It was so lusciously smooth and slinky. I had been enjoying just holding it and letting it slip from one hand to the other. 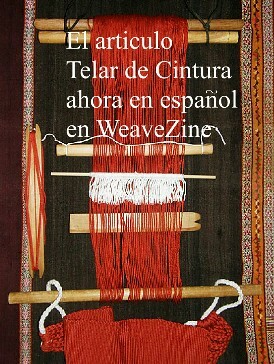 I wove and sewed a plain-weave tubular band to the edge and also used that edging to stabilize the cut and shaped flap. One of the buttons I had bought found its place. I am really happy with this little pouch and only slightly disappointed that a lot of the ”slinkiness” has been lost within the confines of the quite rigid tubular band. It does, however, feel lovely to stroke! I made the second pouch much simpler…a squared off flap and no edging. This one retains its liquid-like characteristics and is free to slink about as it pleases. 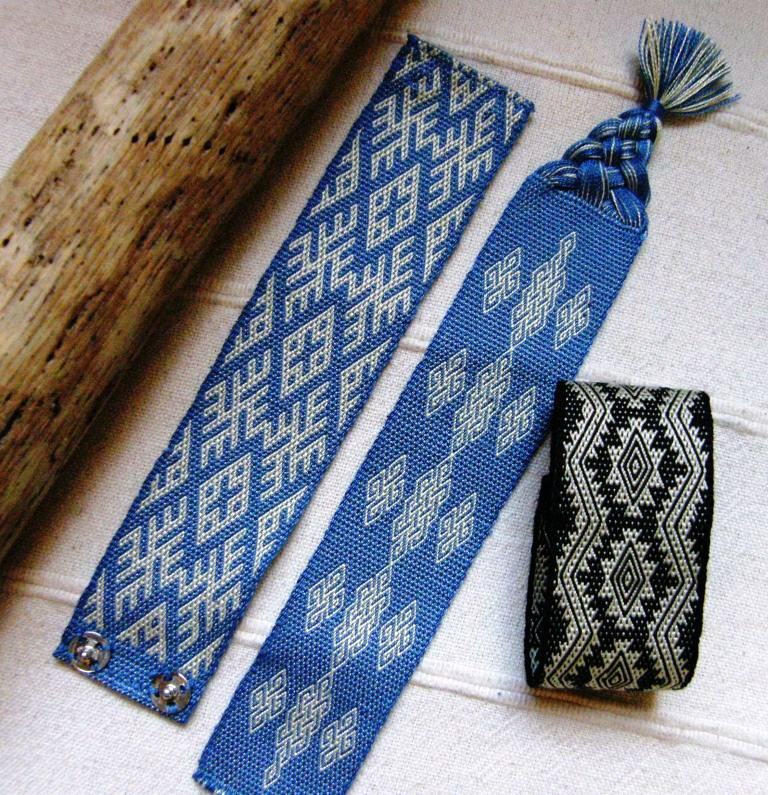 Sara had given me a small ball of the reeled silk and I was able to make a four-strand braid with it for a strap. So, that’s all from me for this week. I will be setting up to sample some more curved ikat shapes soon. And when I am not doing that, or weaving silk cuffs, or planning maybe something bigger, like a silk scarf, I will be braiding and braiding and braiding. 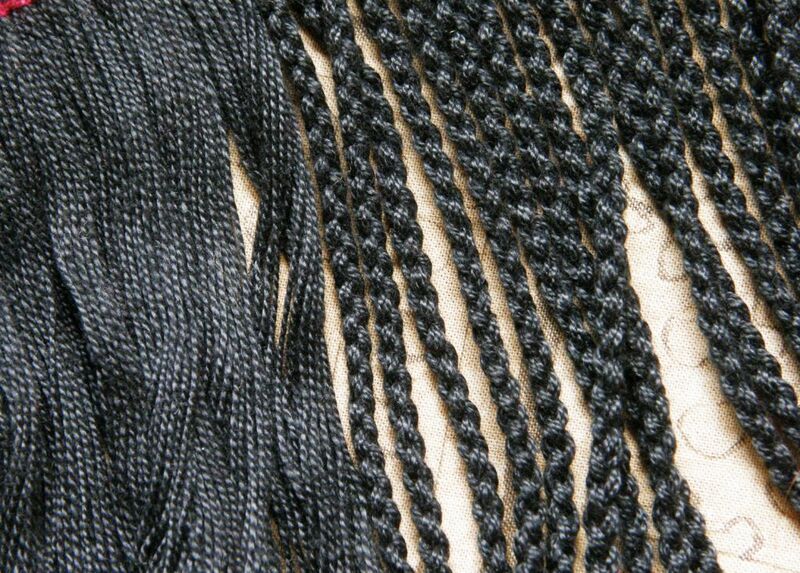 There are several hundred braids to be made on the ends of the three Bird hangings….plenty to keep me out of trouble. 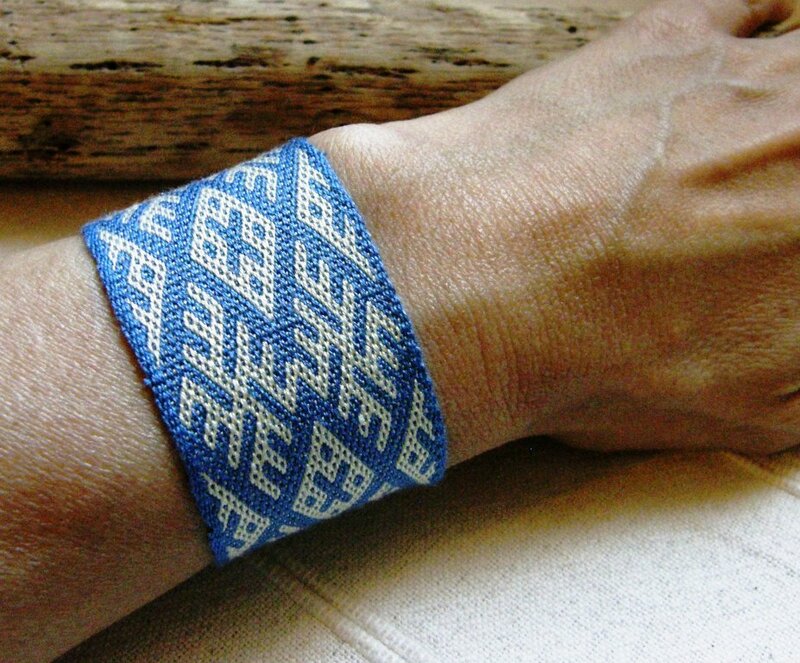 Wow,that blue and white wrist cuff is stunning, Laverne, and the bookmark too! Great little projects, Laverne. Love them all! Thanks Janet. Have fantastic time in Ecuador. Give Trini a hug for me. Soy arqeuologa (trabajo en Nasca y estudio el doctorado en UCL , UK) y he aprendido a tejer en telar (aun principiante ) con tus videos. Me parecen muy buenos. Me meti al tema porque en el sitio arqueologico que excave para mi tesis encontre muchas herramientas de tejer. Quiero seguir practicando ahra en Peru y queria saber si tienes idea de donde conprar telares ya hechos (con la espada y todo) en Lima…o cerca. Hola Viviana….en Lima, no tengo idea. Muy cerca de la ciudad de Huancayo hay un pueblo que se llama Viques. Hay tejedoras de telar de cintura alla. Compre un telar de ellas, ya con hilo y lisos listo para tejer, con espada y todos los herramientas(en 1996!). Gracias por la respuesta… recien veo el email suerte! I love to read about your adventures and also look at your fine work! congratulations! Welcome to my blog and, thank you!